Are you looking for a new Family Care Doctor in Gaithersburg, MD? Turn to our skilled and caring Doctors for Physical therapy, Sports medicine, Dermatology and Primary Health Care. Visit us for your annual check-ups or for last minute sick visits. We also provide physicals for school, sports, and camps. Our in-house Dermatologist can help manage chronic and acute skin conditions. We provide comprehensive, high quality, care to patients with any sports-related injury or medical problem. Our Physical Therapist can help you get back on the field faster. 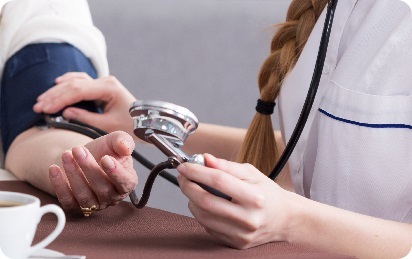 Though new, our clinic houses a trusted staff, including one doctor who is a clinical assistant professor at Georgetown University School of Medicine, to cater to all your medical needs. That isn’t all that makes our family doctor and clinic different. Our state-of-the-art facility is well-equipped with top-of-the-line equipment, as well as a radiology center and in-house physical therapy unit. This prevents you from having to go to multiple locations for treatments. Dr.Efi is a great doctor who spends time with each patient and will give it to you straight. He's a no nonsense doctor with a kind and caring heart and great staff!! I'm thankful for him! Dr Efi and his clinic are the best when it's comes to immediate and primary care in Gaithersburg MD and the surrounding areas. If anyone needs a medical clinic in Gaithersburg MD I definitely recommend Dr Efi and is team. When you need medical treatment, you need a medical treatment, there is only one place to go—Montgomery Medical Clinic. Make one of our physicians your primary care doctor in Gaithersburg, MD, and we will go above and beyond to ensure your family’s health care needs are met. Backed by more than five decades of combined experience, our primary care physicians are ready to provide you with top-quality care for a lifetime. Do you need a vaccination? Have you or a family member sustained an injury that resulted in a broken bone? Do you require medical attention right away? Our skilled and caring primary care doctors are here to help. When you choose one of our team members as your family doctor, you benefit from; Personalized Attention, Superior Care & Treatments with the Latest Equipment, A Long-Term Relationship with a Qualified Physician, Access to Medical Care Services When You Need Them.